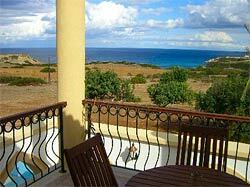 Port Cyprium Village is one of the best properties listed in Cyprus44 property reviews. Cyprus has always been a major port of call for ships in the Mediterranean, but until recently there was no fully serviced marina in North Cyprus open to yachts from other countries. However, the perseverance of one man, Altan Hussain, enabled him to gain government permission to build just such a marina and open the North Cyprus coastline to international yachtsmen again. Finally, his vision is becoming reality at the Port Cyprium Marina in Kucak Erenkoy, just outside Esentepe and 25 minutes drive from Kyrenia, North Cyprus. Needless to say, the Port Cyprium Marina will be a magnet for all those who love to sail, and so the premium properties will be right on the waterfront itself. The rest of the properties will be situated across the main road from the large marina complex, in the Port Cyprium Village. Since every property owner is guaranteed a berth in the marina itself, the Port Cyprium Village offers an ideal ship to shore arrangement, combining a secure berth with all facilities, and a designer villa overlooking the marina and the sea, and backed by spectacular mountains. Phase I of the Port Cyprium Marina Villas occupy the back of a plot that stretches back from the main road towards the mountains, with Phase II closer to the road, and Phase III on the beach side of the road. All three phases have direct access down to the Port Cyprium Marina, which nestles in a sheltered bay on the North Cyprus coastline. The Phase I villas are available in two types, and at time of writing, only three properties remain for sale. The two bedroom villas at Port Cyprium Village boast an Ottoman-style design, with pitched tiles roof and ironwork balconies, and a traditional balconied upper storey window. There are two ensuite bathrooms for the two bedrooms, plus a guest toilet, and a private 8 metre by 4 metre swimming pool at every villa. The internal layout of the villas at Port Cyprium Village is quite unusual for new North Cyprus developments, with living space upstairs and bedrooms downstairs. You'll discover a spacious kitchen and dining area upstairs, across the hall from a large living area with real fireplace. Balconies at either end of both these large rooms ensure you never miss any aspect of the great sea and mountains views these apartments offer. Downstairs, there are two bedrooms off the main hallways, with a utility/kitchenette next to the terrace for impromptu snacks or outdoor eating. It has to be said, a lot of the ground floor space is occupied by the hall and staircase, but with all that upstairs living space, who cares! A three-bedroom Port Cyprium Village villa features an elegant arched colonnade over the large terrace and corner of the pool. In fact, there are terraces on every side of these villas, so you need never miss a single ray of sunshine. Again, the bedrooms are on the ground floor, with a small kitchenette, while the upstairs offer a large kitchen and dining area, separate living room with balcony and sun terrace, and even enough space in the landing for a desk and your laptop. The high specifications also include air conditioning and heating to all rooms. It is a reflection of the premium you will pay for a property near the water's edge in that the same three bedroom villa type in the Phase III location costs £264,950 rather than £176, 5000 asked for a Phase I plot equivalent. All villas come with a ten-year marina berth, so keen yachts folk will need to enquire what happens in year eleven, and what the charges may be. However, on looks alone, the Phase I two bedroom type villa at Port Cyprium Village offers good value, considering it includes a swimming pool and that all-important marina berth. Was Port Cyprium a hoax? Marina Park Bahcelli - is completion near? This web page is served on 19 April 2019 at 23:53:45.